2018 marks the 50th anniversary of BCHA and to celebrate this incredible milestone we are bringing together our staff, communities and partners through our Bchangemakers campaign. During this year-long project and its series of 50, personal success stories, we will be looking back on the lives we have transformed and forward to the positive change we look to bring to our community. These touching and very personal accounts highlight some of the many challenges we have helped our customers to overcome. Challenges including domestic violence, homelessness, social exclusion, mental health issues and unemployment. Key to this has been our work in bringing positive change around the often closely linked problems of unemployment and mental health. It is staggering to learn that approximately 90% of people who are unemployed with mental health conditions, want to work (National Mental Health Development Unit). Sadly, the longer someone is unemployed, the more vulnerable they are to depression and anxiety; therefore unemployment is detrimental to mental health (National Mental Health Development Unit). 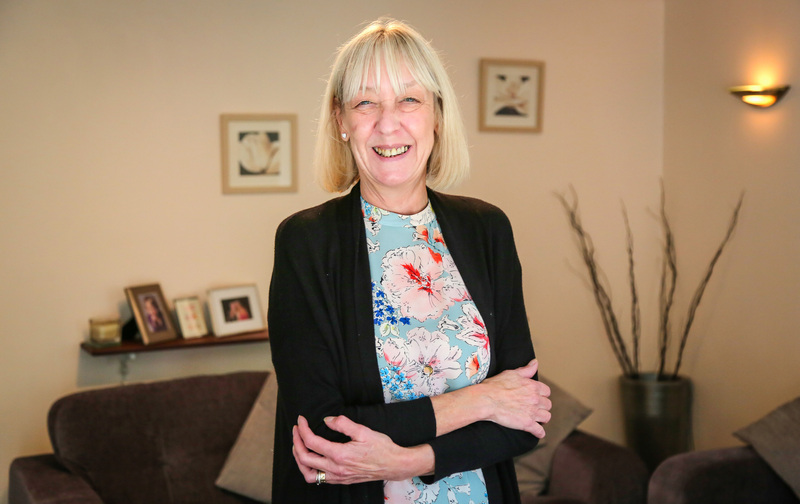 Our latest Bchangemaker story touches on these issues with the heartwarming experiences of Janet, whom we were able to support as she sought a positive way forward following a very difficult period of her life. After a 24-year career as a homecare assistant, Janet found herself in a very dark place. The death of a client she became very close to left her devastated and she sank into depression. Luckily, Janet went to see her GP for help and was recommended BCHA’s Ignite Programme which focuses on supporting people to find greater self-belief, to break free from benefit support, get back in to work, and live a better life. Included are a range workshops, all tailored to build a person’s self-esteem and confidence, and to support people to achieve their goals. After Janet finished the programme we asked her for some feedback on the course and her progress. Read Janet's story in detail. To be a volunteer or sponsor please click here. If you’re interested in donating please do so via our JustGiving page or text BCHA18 followed by the amount to 70070. Finally, if you would like to fundraise for BCHA then please set up a fundraising page through JustGiving. For more stories from our Bchangemakers campaign check out our Bchangemakers website.